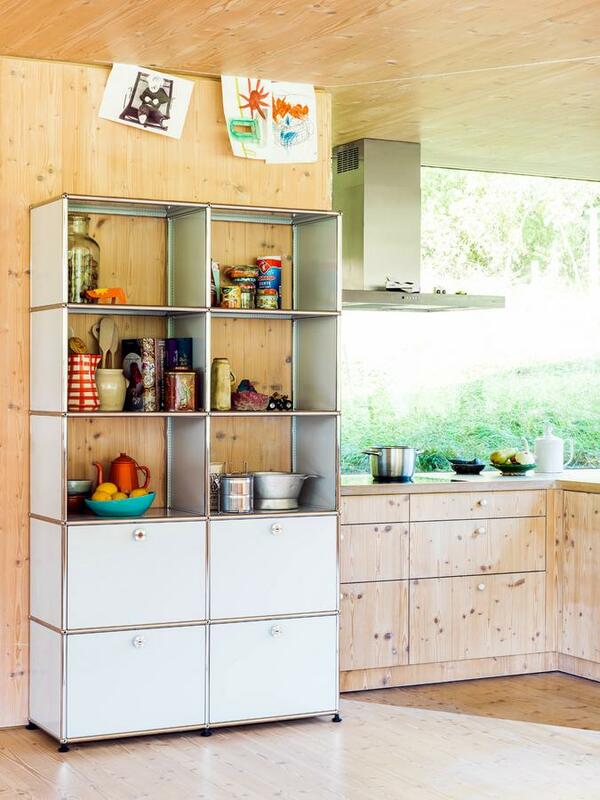 The shelving systems of the USM modular furniture system fit perfectly with modern living or working spaces, and can be expanded through drop-down, extension doors and numerous organisational elements. 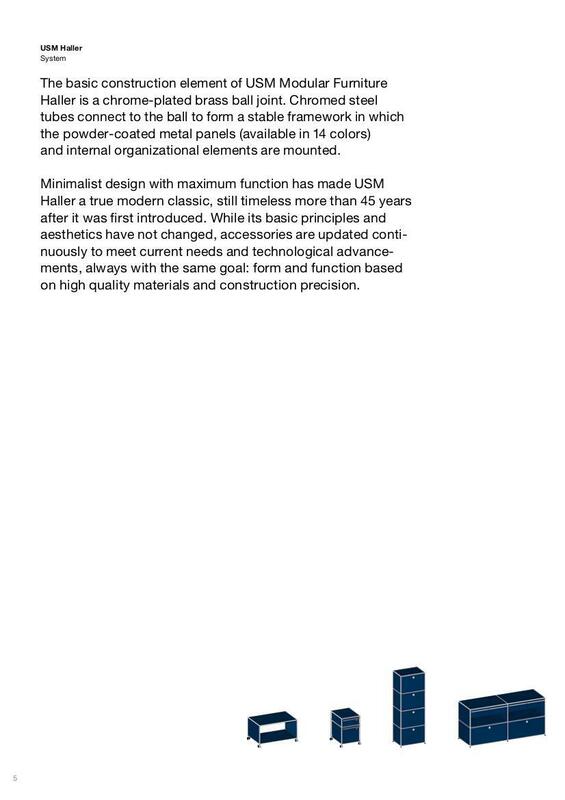 High-quality materials, the powder coating process and the precise processing also guarantee the durability of USM Haller units, thus ensuring a combination of long-term functionality with timeless elegance. The history of the USM Haller bookcase began just as the with USM Haller sideboards and all other USM furniture in the early 1960s; and marks the evolution of the Swiss company USM in a modern industrial concern. The then owner of the company, Paul Schärer, commissioned the architect Fritz Haller with the planning and construction of new production and administration buildings. Following completion of the new buildings Fritz Haller developed in 1963 system USM Haller for the new USM office pavilion in Münsingen. Originally conceived exclusively for the company's own use, USM Haller entered series production in 1969 in the wake of a commission to furnish the Paris Rothschild Bank. The special feature of USM Haller shelves is now, as then, the modular design: from just three basic elements units can be constructed in almost every imaginable shape. 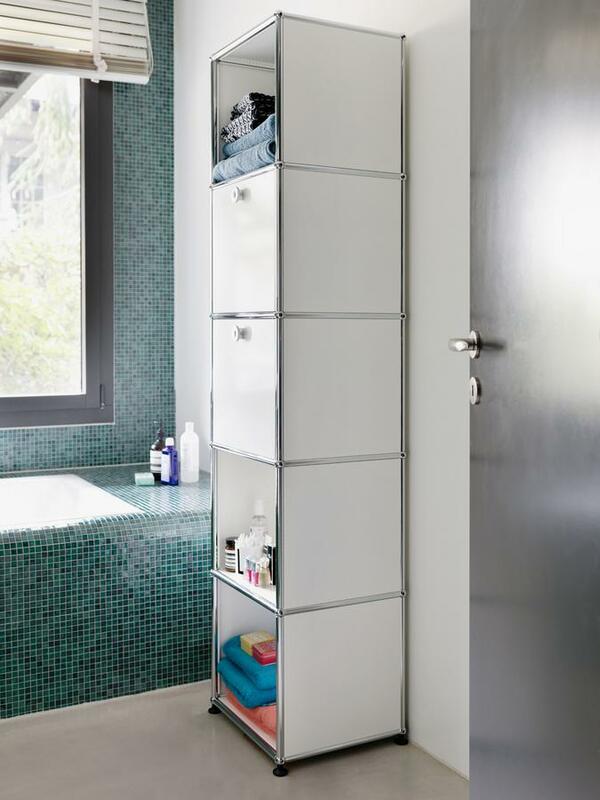 In the basic structure chrome plated metal tubes are connected via chrome plated brass balls, panels of metal or glass then serve as cladding or shelves. 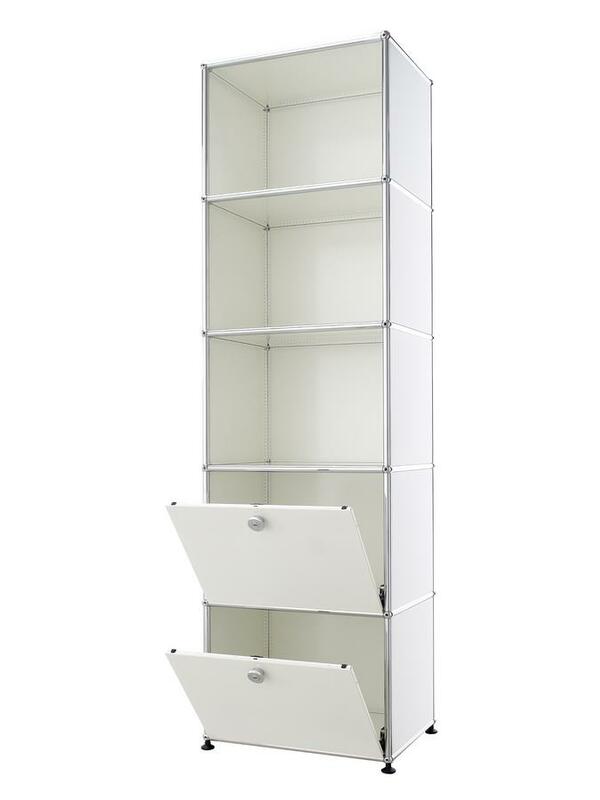 The configurable USM Bookshelf 50 is composed of five compartments, each with a height of 35 centimetres, and is available optionally open or with two or three drop-down doors. 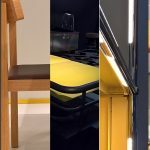 With USM furniture is crafted from only a few elements. 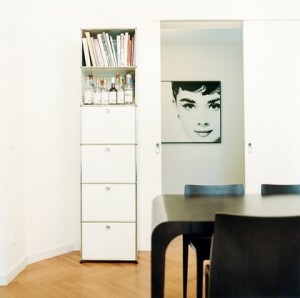 Fritz Haller, designer of the USM furniture, initially trained as a a draughtsman. 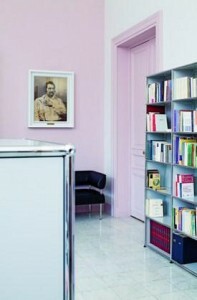 Familiar with the architectural profession of his father from an early age, an important influence on his own understanding of the profession came during his time in the mid 1940s in the Rotterdam office of Willem van Tijen and Berend Bakema; at that time two of the most important representatives of post-war Functionalism. Under this influence, and having returned to Switzerland, one recognises in Haller's early buildings a functionalist orientation and a striving for systematization. 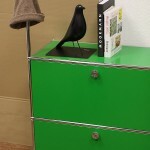 Something perfectly expressed in his USM furniture. After Paul Schärer Haller had commissioned Haller in 1960 with the planning of new USM factory and administration buildings he designed the USM Haller furniture system: a system which would revolutionise the world of office furniture. In 1977 Haller succeeded Egon Eiermann as professor at the University of Karlsruhe and also taught in Stuttgart and Dortmund. His greatest success remains USM Haller. The system has received numerous awards in the US and Europe and has become one of the genuine classics of modern design history. Fritz Haller died in October 2012 in his native Switzerland. 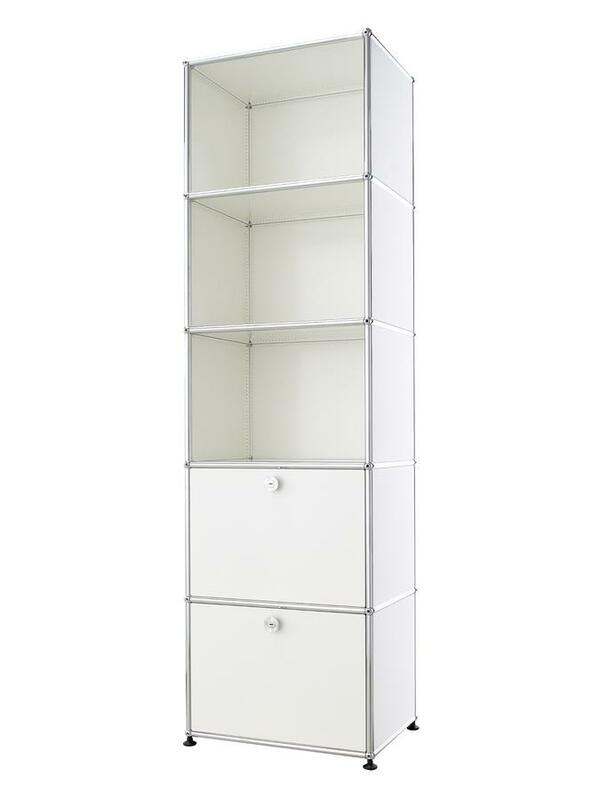 The USM Haller bookcase is available as standard from smow with 50 cm wide shelves. USM has its headquarters in the Swiss town of Münsingen, near Bern. 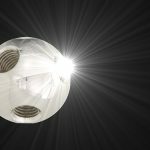 There USM produces the chrome plated steel tubing for skeleton, the chrome plated brass balls which connect the tubes to each other and the panels of metal or glass. The metal shelves being powder coated in fourteen different USM colours. The necessary components for order originating in Germany are shipped to the USM factory in Buhl, Baden-Württemberg where the corresponding units are assembled. Because USM only use high quality, durable materials, and because the structure of the USM furniture is so variable, theoretically you need never replace a piece of USM Haller furniture; rather, it can be reconfigured as required. Thus in the field of office furniture USM Haller is an inherently sustainable and resource-efficient product. 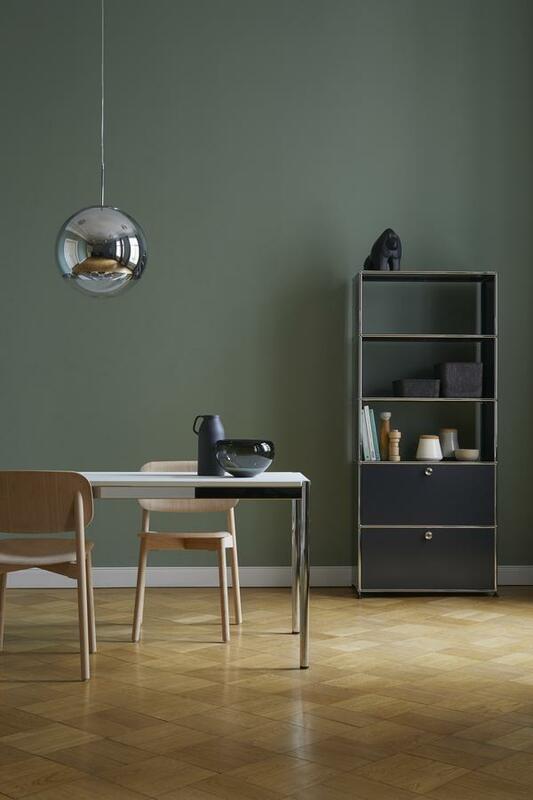 Looking at the history of design, USM Haller can be considered in context of functionalism. The design principle "form follows function" which underscores this movement this flow is realised in the USM office furniture system in a very special way: the furniture can be adapted to the changing demands of their environment and thus remain flexible in their functionality. In addition the reduced, minimalist design results from the focus on functional aspects during the design process and therefore appears to us still timeless and beautiful. 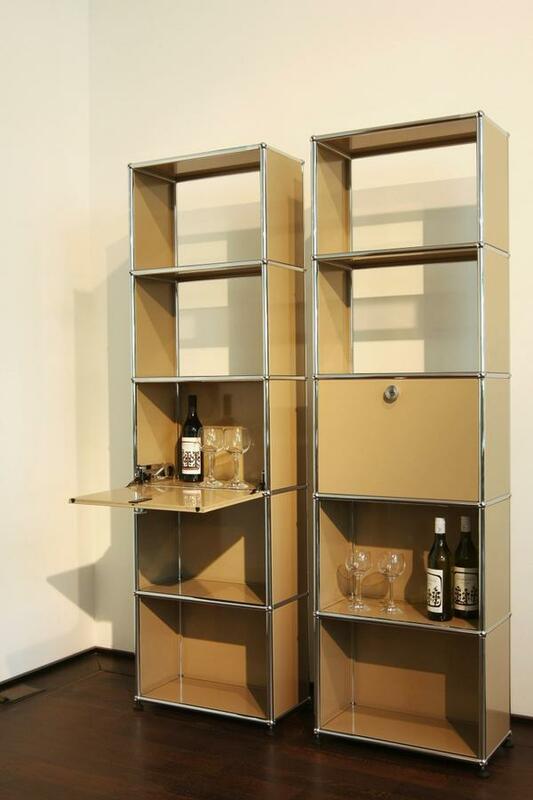 So conceived Fritz Haller for fifty years with his USM shelving a design classic of office furnishing and a product which through the versatility of its simple design is now increasingly asserting itself as a home furniture product. Thanks to their versatility USM Haller units can be used in many contexts. 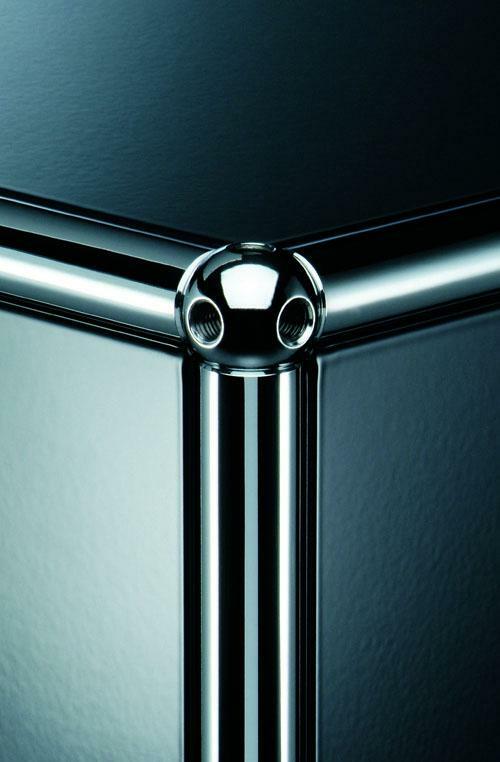 USM was founded in 1885 in the Swiss town of Münsingen near Berne by Ulrich Schärer as ironmongery and locksmith. In the 1920s the company began with the production of window shutters, the years of economic boom in the postwar era seeing sheet metal and metal processing added to the company's portfolio. 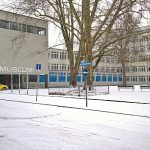 When in 1961 Paul Schärer, grandson of Ulrich, commissioned Fritz Haller with the planning of new office and factory building, he also requested some new office furniture. Thus begins the history of USM Haller. 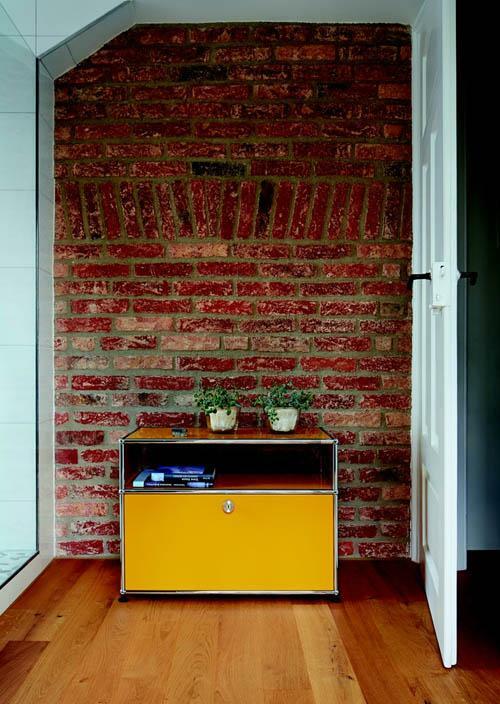 Since 1969 USM sideboards, shelves, etc. 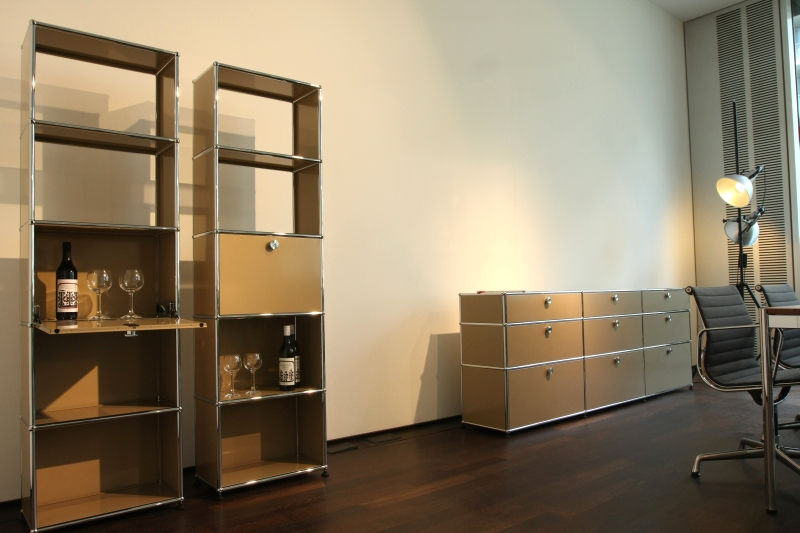 have produced in series, and the success of the furniture system can be seen in the products subsequent chronology: 1975 USM opened a production facility in Bühl (Baden-Württemberg) as USM U. Schärer Söhne GmbH, followed by France in 1994 & New York in 1995. 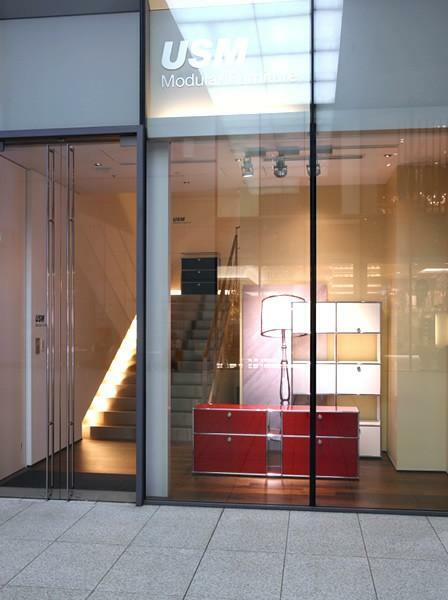 In 1998 the first permanent USM Showroom opened in Hamburg, in 2001 the USM modular furniture system was admitted into the permanent collection of the Museum of Modern Art, MoMA, in New York and in 2008 USM U. Schaerer Sons KK was established in Tokyo, Japan.